I belong to Malwa Region in MP (India) and in almost all of the gatherings and parties we make Dal Bafle which is a regional delicacy. 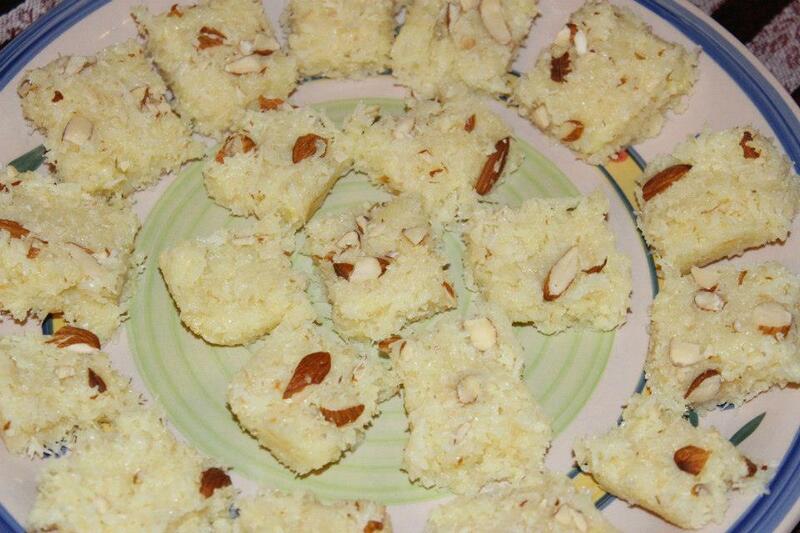 It is also a popular dish of Rajasthan and is a main course dish eaten with laddoos, choorma and ghee. Rajasthani feast is never complete without it. This is a must have for anyone who is visiting the region and is an integral offering of hospitality for guests. The other version of this dish is also called as Dal Bati. Cooking it gives a mixed experience of kitchen and barbeque cooking. 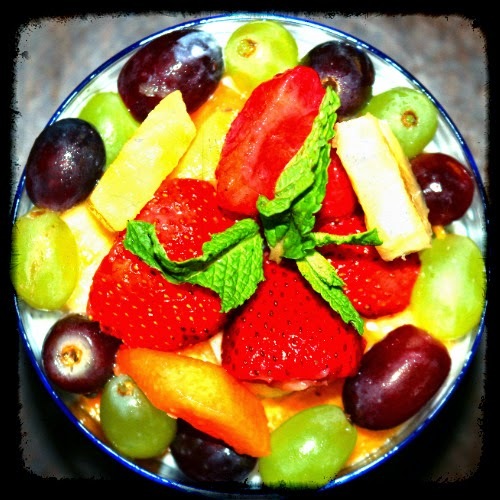 I am sure you will love it, I am describing it here for you. 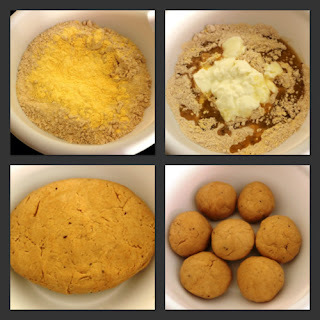 Take a bowl and mix Wheat Flour, Semolina and Corn Flour in it. Now add yoghurt and ghee into it in the amount mentioned and mix them well. Make stiff dough by adding little water at a time. Knead very well. (The dough is not as soft as we make for roti/chapati; it will be slightly hard). Allow the dough to rest at least for 15 minutes. Now divide the dough into equal portions and shape them like round balls as shown in the picture. Meanwhile, boil some water in a big broad vessel. Put all round balls in boiling water. Boil it for 15-20 minutes. 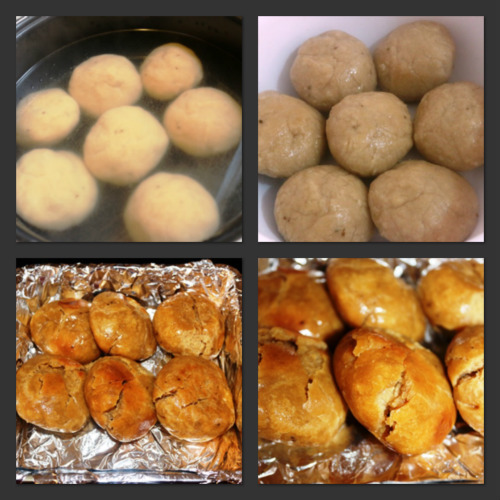 Once these round balls/Bafla start floating, take it out and place it and let dry. Now cook them in a Pre-heat oven/tandoor until they turn light golden in color. Turn over the Baflas and cook it evenly on both sides. Now mildly crush these baflas and dip in pure ghee (or as per your taste and diet). Bafla also has another version which is called as Bati. Skipping the boiling part in above steps will make batis. Clean and wash the dal and add to it water and add a pinch of turmeric and salt and pressure cook for 2 to 3 whistles or till the dal get cooked. Take a frying pan/kadhai and heat oil in it. Now add cumin seeds, mustard seeds and asafoetida/ heeng to it let them cook for 2 minutes. Add green chilli and curry leaves to it, add all the spices and chopped tomatoes and continue cooking till the oil separates from the corners and the tomatoes go all mushy and done. Now pour the pressure cooked dal into this and adjust the consistency of dal according to your wish. Add coriander leaves to it. Dal is ready to be served. I haven’t used garlic, ginger, onions here but you can use these things as per your tastes during frying spices in oil. 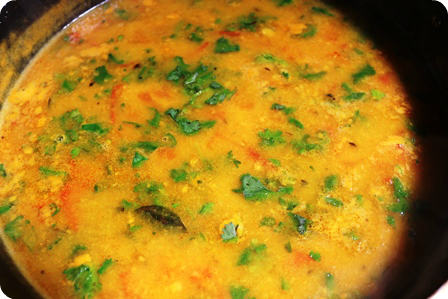 You can also mix different types of lentils to make mixed dal. 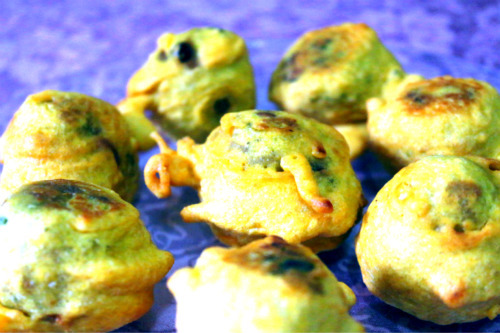 Once dal is ready serve hot baflas and dal along with pickle, chutney, raita, choorma or any other sweet dish. 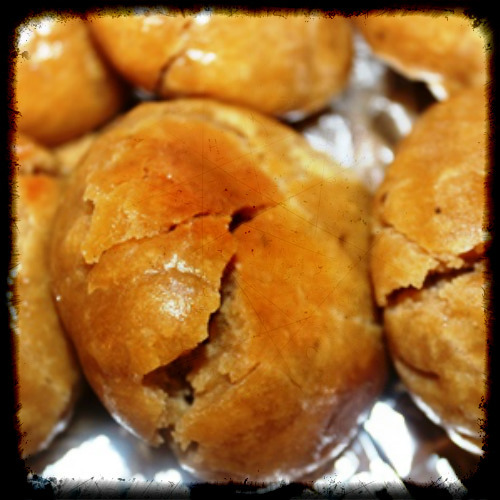 I will add recipe of choorma in later posts. I hope you like it, and don’t forget to share your experience through comments.